The Deputy Minister of Justice and Constitutional Development highlighted that there were many improvements to the Traditional Courts Bill following concerns with previous versions of the Bill. The main objective of the Bill was to create a uniform legislative framework to regulate the role and functions of traditional courts. Since the Bill was first introduced in 2008 and then again in 2012, many efforts had been made to address concerns raised about the role of women and other vulnerable groups. The Bill furthermore recognised the various levels of dispute resolution in the traditional justice system. The focus of the Bill was on restorative justice and reconciliation through mediation, bearing in mind the existence of systemic unfair discrimination and inequalities which were in conflict with the Constitution. Focus was also on the voluntary nature of customary law and customary courts which were accessible to those should they voluntary subject themselves to the customary law and traditional courts. The Bill also focused on traditional courts rather than on customary law, since customary law was so broad and differed vastly amongst traditional courts. A Reference Group, which consisted of representatives of civil society, traditional leaders and government, was established in December 2015 to discuss outstanding matters and to assist in the development of this new Bill for introduction into Parliament. Members raised concerns about the notion of “traditional courts” since the structures within one particular traditional court could be very complex and tiered. They felt that it would not be possible for the formal court system to assist in cases which went on appeal if these individuals working within the justice system did not know or understand these customary laws. There was a lack of education around indigenous African laws and traditions which threatened the success of traditional courts as a whole. Some members believed that there were too many “intellectuals” involved who wanted to import foreign concepts into an indigenous system which was stable, clear and understood. Members suggested that the Committee should visit some of these existing traditional courts and experience first-hand the proceedings involved in the resolution of disputes. There was concern about the option of people to opt-out of traditional courts and members questioned how these persons would be held accountable if they did not appear before the court as per their summons. The cost emanating from this Bill was also discussed and the socio-economic impact assessment would be provided to the Committee to indicate this. Both the Minister and the Departments of Justice and Constitutional Development and of International Relations and Cooperation briefed the Committee on the Implementation of the Rome Statute of the International Criminal Court Act Repeal Bill. The Minister explained that South Africa decided to withdraw from the Rome Statute on 19 October 2016. Following this decision, notification was given in the form of an Instrument of Withdrawal together with a Declaratory Statement which was submitted to the Secretary General of the United Nations. Withdrawal would take place one year after the receipt of the notification. In June 2015 South Africa was faced with conflicting international law obligations to be interpreted against diplomatic realities and immunity was granted to President Omar al-Bashir in terms of the Agreement between South Africa and the African Union. Sudan was not a party to the Roman Statute and the arrest of President al-Bashir may have been in violation of customary international law. Following this, litigation ensued between the Minister of Justice and Constitutional Development versus the Southern African Litigation Centre. The Supreme Court of Appeals held that although customary international law recognised that heads of states and other high ranking office bearers enjoyed immunity from arrest and prosecution or other interference while visiting a foreign state, South Africa was bound in terms of its obligation to the Rome Statute and the ICC, to remove such immunity. The Minister highlighted that although litigation on this case was still ongoing, it was important for the Committee to consider this Bill and put it forward for enforcement. Some opposition members were not pleased with government’s decision to withdraw from the Rome Statute and the ICC. They believed that the ICC was intended to provide a mechanism for dictators who slaughtered citizens in the country which they governed, to be exposed and charged. President al-Bashir was personally responsible for the death of 300 000 people and the moral standing of South Africa would now be questioned internationally. As long as diplomatic immunity trumped any provisions of an Act to arrest, detain and take a violator to court, South Africa would face a situation where only warlords who were not in a position of power would be taken to task while those in governmental power will always be immune. Members in support of the decision to withdraw from the ICC felt that there were other mechanisms to promote peace and justice on the African continent. The ICC was unfair towards African leaders and there were three members of the UN Security Council who had not signed the Rome Statute, yet Africans had to be prosecuted. Members said this was double standard and human rights had to be objective. Mr John Jeffery, Deputy Minister of Justice and Constitutional Development, thanked the Committee for the opportunity to appear before it and present the two Bills. He wanted to deal with the Traditional Courts Bill first, as the Minister was planning to deal with the second Bill but was only expected later that afternoon. Ms Theresa Ross, Principal State Law Advisor: DoJCD, said that the main object of the Bill was to create a uniform legislative framework, regulating the role and functions of traditional courts in the resolution of certain disputes in accordance with the Constitution. The Bill was intended to improve access to justice services by enhancing the effectiveness, efficiency and integrity of traditional courts for resolving disputes and promoting social cohesion. The Bill can be linked to the National Development Plan (NDP) targets of realising a developmental, capable and ethical state that treats citizens with dignity, broadening social cohesion and supporting the role of women as leaders in all sectors of society. Ms Ross gave a background to the Bill. She emphasised that traditional courts existed and it was a constitutional imperative that it be transformed to suit the new constitutional dispensation. Chapter 12 of the Constitution recognised the institution, status and role of traditional leadership according to customary law and schedule 6 to the Constitution recognised the existence of such courts. The Bill as it stood was a new Bill and every effort was made to address the concerns raised about the two previous versions introduced to Parliament in 2008 and 2012. She said that most significantly the new Bill focused on the role of women and other vulnerable groups. It further recognised the other levels of dispute resolution in the traditional justice system. She highlighted the key features of the Bill per clause. Clause 3 was the guiding principles and they were important because they set the scene for what was expected of traditional courts when they dealt with disputes. The focus was on restorative justice and reconciliation through mediation. A further focus was in the voluntary nature of customary law and customary courts which were accessible to those should they voluntarily subject themselves to the customary law and traditional courts. Clause 4 dealt with the institution of proceedings in traditional courts. Proceedings may not by instituted if the dispute was being dealt with at another level in the traditional justice system or if the matter was pending before a court of law or being investigated by the police. A court may only hear a matter if the party against whom the proceedings were instituted agreed to the resolution of the dispute. This was important because it gave effect to the concern that the previous Bill did not provide for “opting out”. However, a person who elected not to have a matter dealt with in the court had to give reasons for that decision to the clerk of the court. If this happened, the court could continue with the proceedings in the absence of that person in an effort to assist the remaining party but the court may not make an order against the absent party. Clause 4, read with schedule 1, set out the types of disputes a traditional court may deal with thereby limiting the matters which these courts can hear to less serous disputes which disturb harmonious relationships within communities. In clause 4 and also elsewhere in the Bill, reference was made to “disputes”, meaning that there was no distinction between civil and criminal jurisdiction, which was one of the concerns raised in respect of previous versions of the Bill. Clause 5 dealt with the composition of and participation in traditional courts. Traditional courts had to be constituted of women and men to promote the right to equality as contemplated in section 9 of the Constitution. The courts were required to promote the representation and participation of women as parties and members of the courts. It required the Minister and the Commission for Gender Equality to put measures in place to promote gender equality in these courts and to report annually thereon to Parliament. Before any proceeding of a court began, the traditional leader or delegated person convening the court had to say a pledge that he or she would protect and promote the values enshrined in the Constitution. Clause 6 dealt with the nature of traditional courts. Traditional courts were under customary law and its focus was on preventing conflict, maintaining harmony and resolving disputes in a manner that promoted restorative justice, social cohesion and reconciliation. Clause 7 dealt with the procedure in traditional courts which took the guiding principles in clause 3 further by building in safeguards for the protection and assistance of vulnerable groups, with particular reference to women, as litigants and as members of the court, the elderly, children and the youth, the indigent, persons with disabilities and persons who were subject to discrimination on the basis of sexual orientation or identity. These safeguards required that all court proceedings had to be open to all members of the community at a place which was accessible to members of the community and conducted in the presence of both parties. Both parties had to be able to participate fully in the proceedings without discrimination on any of the prohibited grounds referred to in section 9(3) of the Constitution. Failure to comply with these procedural aspects could result in the matter being taken on review to the High Court. Provincial Registrars were required to assist unhappy litigants to take their matters on review. Parties were allowed to be assisted by any person of their choice in whom they had confidence. Also, legal representation was not allowed as there seemed to be a general consensus that it was not suited for the traditional justice system. Clause 8 dealt with orders that a court may make. This differed from the previous Bills and addressed the concerns that were raised. While the previous Bills provided for the imposition of fines and the deprivation of customary law benefits, amongst others, the Bill did not provide for these as this could lead to abuse. The emphasis was on restorative justice measures such as compensation and redress which were aimed at restoring the relations between parties. The payment of compensation may, however, not exceed the value of the damage giving rise to the dispute or the amount determined by the Minister by notice in the Gazette from time to time, whichever is the lesser. No fines may be imposed and any community service ordered had to be for the good of the community and not for the benefit of any member of the court or a traditional leader. Clause 10 now provided for the appointment or designation of Provincial Traditional Court Registrars and set out its role and responsibilities. Some of these responsibilities included compiling and maintaining a prescribed register of all traditional courts in the province, referring cases of public interest to the High Court, transferring cases in respect of traditional courts which did not have jurisdiction to the appropriate court, assisting parties and guiding and supervising functioning of traditional courts. Clause 11 made provision for the review of procedural shortcomings in the High Court such as if the traditional court was not properly constituted or the parties were not allowed to be represented by persons of choice. The High Court could confirm, alter, set aside or correct the order made by the traditional court, make the order the traditional court ought to have made or remit the case to the traditional court to deal with in the matter ordered by the High Court. These reviews would contribute to precedents and enhance jurisprudence in matters of this nature. Clause 12 dealt with the escalation of matters from traditional courts. The Bill allowed for the escalation of matters from traditional courts to a customary institution or structure in accordance with customary law and appeals. This addressed the concern raised about the previous Bill which allowed for appeals to the magistrates court. Also, appeals may not be lodged in respect of procedural irregularities. The Bill also regulated the keeping of records of proceeding of traditional courts, the transfer of disputes from traditional courts to magistrates courts and vice versa, the immunity for members of traditional courts and a code of conduct for members of traditional courts. What was particularly noteworthy was clause 17 which required the Minister to make regulations on the training of traditional leaders and members of traditional courts and the involvement and training of paralegals and interns in the functioning of traditional courts. Ms Ross noted that the Department had done consultation with a Reference Group established by the National Dialogue on the Bill in December 2015 and chaired by the Deputy Minister of Justice and Constitutional Development and Traditional Affairs. This group also met numerous times in 2016. The Reference Group consisted of representatives of civil society, traditional leaders and government. The mandate of the Reference Group was to discuss outstanding matters relating to the Bill and assist in the development of a Bill to pave the way for introduction into Parliament. The concerns raised about the 2008 and 2012 versions of the Bill were taken into account. Mr Jeffery said that he wanted to highlight some issues which came from the Reference Group. The first was that there was agreement that the Bill should look at traditional courts rather than focus too much on customary law. The institution of proceedings reached consensus in the Reference Group after a lot of debate. He explained that if a person did not want to participate, they did not have to, but they could not just ignore the summons. They had to inform the clerk of the court that they did not want to attend. There was a lot of debate on whether these people should provide reasons and eventually there was agreement that it would be better if they do not if those reasons related to someone in the community. He explained that the clerk was meant to ask if there was any other court or any other way of resolving the dispute. All traditional courts were not the same. In some communities, the traditional court would be comprised of a panel and in other it would be the whole village or anyone who wanted to come. Provision was made for monitoring by the Minister backed up by the Gender Commission. Mr Jeffery said that there was some dispute on the nature of traditional courts, not within the Reference Group but with the State Law Advisors. The Reference Group felt that they should be courts of law under Chapter 8 of the Constitution but the State Law Advisors had concerns about it being under Chapter 8. The Department felt it would be better for Parliament to deal with this issue. With regards to enforcement, the option of using sheriffs was considered but was rejected because sheriffs were town or city based and the distance would be too far to travel. Work was done with the Department of Cooperative Governance Traditional Affairs (COGTA) on the Bill and one of the issues was that no regulatory impact assessment was done but one was done following that concern. In terms of costing, the Department was informed by COGTA that each court had a clerk so there would be no new creation of positions. The one position that would be new was a Provincial Registrar. Part of the job of the Registrar would be to assist in matters that would go on review. Other costs would be to the Gender Commission since it mentioned that if it had to do monitoring it would require payment. Mr Jeffery noted that the Minister would be taking steps for the education of people involved in traditional courts. The South African Judicial Education Institute Act provided for a body that dealt with the training of judicial officers and magistrates. The Act also provided for a representative of the traditional leaders to sit on the Council of the Institute. The main criticism from civil society was that the authority for a traditional court arose from a traditional leader and this traditional leader was a person who was recognised as such in accordance with law. The main complaint was that this should be recognised by the local community and the concern was the issue of certainty. Some people did not like the Traditional Leadership and Governance Framework Act and it was currently being revised before Parliament but the Department agreed that this issue was not meant for that Bill. In addition, there was provision made in the Bill for people from a particular traditional community, who were perhaps working in another part of the country and had a dispute, these persons could request the traditional leader to have a court established for them where they were to deal with the dispute. Also, there was generally a restriction on traditional courts dealing with matters where the results seemed to be unfair because of patriarchy such as matters relating to the custody of children. Traditional courts could discuss issues related to children and might have greater clarity because of its knowledge of who should look after the child. So the traditional court would have the opportunity to discuss it but the matter would have to be referred to a magistrates court or High Court. That court should hear the input from the traditional court and make the decision. The Chairperson said that the country had waited 10 years for this Bill. He hoped that the Committee would be able to reach a stage beyond doubts. This Bill should offer the country an opportunity to reflect on the decolonisation on the entire legal system and in particular indigenous African law. There were customs and traditions in Africa which existed long before the laws of Great Britain and Rome. He felt that the terminology “customary law” had to be relooked at because some people might not understand the concept. They were dealing with African law or customs, and senior traditional leaders did not use the words “senior” or “traditional”. There were also different types of traditional leaders and therefore the terms had to be clarified. The Bill aimed to create social cohesion but how was that possible when it created fragmentation within the structures of the court. If universities did not make African Law and Indigenous Law compulsory, who would be able to review appeals at the formal courts? Why were people forced to study Afrikaans and Latin at universities but not forced to learn about indigenous laws? He felt that the courts could not have psychiatrists and social workers in the formal courts who did not understand idioms. He felt that the approach from the beginning was not correct. The Bill also failed women as it did not implement the Traditional Leadership and Governance Framework Act. He was aware that some judges were training traditional leaders but how could these judges provide training if they did not know the languages of the indigenous people. The definition of a traditional leader was also problematic. The individual became a traditional leader because they had royal or “blue” blood yet Apartheid had distorted some of these things. He hoped that this time Parliament was going to act swiftly with the Bill and be decisive. People who used this system knew what they wanted but there were too many intellectuals involved who wanted to import foreign concepts into an indigenous system which was stable, clear and understood. He thanked the Department for giving Parliament a product to work with. This Bill had to be finalised by mid-2017. Mr M Maila (ANC) said it was an issue of defining what traditional communities were. Surrounding the rural areas were commercial farms owned by white farmers. For social cohesion to occur there should be peace. However, there were always disputes between the white farmers and seasonal workers. If farmers were not treated as part of the traditional families, they would always opt out resulting in no solution between the farmer and the worker. If the white farmer could opt out of the traditional court then the worker should be able to opt out of the formal court. The Roman-Dutch and English law were given priority to prevail over Africans. The Bill allowed participation in the traditional court to be voluntary which was a futile exercise in his opinion. Why should traditional leaders make a pledge? He felt that a Code of Conduct should be enough. Also, the courts may not impose any fines but how would it then be effective? The Chairperson said that less than 40% of South Africans had ever had sight of the Constitution so why should they do a pledge if they did not know the Constitution. Ms S Swarts (ACDP) said that the Bill had come a long way. There was a process of consulting with traditional leaders but it seemed as if there was not a lot of consultation done. He felt that the Committee should visit provinces and listen to the people involved. He asked if a socio-economic impact study was done. He also felt that the “opting-out” clause could create a lot of social pressures on the person involved. In addition, it was important to look at the different levels of appeals within the traditional courts system. Ms G Breytenbach (DA) said that public hearings on this Bill were going to be very important. She wanted the Department to look at comparative systems in other countries such as Swaziland and Botswana. This Bill was a long time coming and it had to be finalised. In clause 4 reference was made to the place where these courts would be held and in clause 7 it said that sessions had to be held at a time and place which was accessible to members of the community in question but who would incur the costs associated with proceedings? Overall there was improvement on previous versions of the Bill but a lot still needed to be done. The Chairperson said that there would be volunteers in the community who would do the work related to the proceedings of the court. 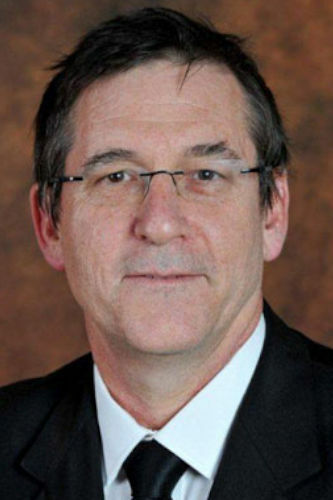 Mr W Horn (DA) said that the Chairperson's comments were indicative of the conundrum Parliament was faced with. In 1994 government chose to enforce and change Roman Dutch law into the Constitution and it was not correct to harp on Roman Dutch law as the country had come a long way to transforming the justice system to be in line with the values underpinning the Constitution. He felt that there was now a need to harmonise traditional courts and the justice system. The nature of these courts had to be unpacked. You could not on the one hand say the values of the Constitution must be incorporated and on the other hand close your eyes to the Constitution. If there were no appeals, the Constitution was not upheld. Customary law was evolving and there was a duty to have it align with the Constitution. He agreed with other members to go and see how other institutions dealt with escalations. The idea of justices of the peace was problematic as there was no certain idea what the powers of these people were. The enforcement of the decisions of these courts could not be in contradiction with Constitution. Government was in dire need to find a system that worked which served the community. The Chairperson wanted to correct Mr Horn, as he did not say there were no appeals. There were three tiers of appeals within the traditional courts system. He meant these should be exhausted, then the matter could move to formal courts. Mr L Mpumlwana (ANC) said that the Bill was introduced to people who went to school and know Roman Dutch law and who thought in those terms but African people were considered inferior to the Europeans and African systems were considered inferior to systems of the West. Would a white person go to these traditional courts and accept a system that he did not understand? The same way an African had to go to the court system of the Europeans which he did not understand but was forced to go. People were needed to write exactly what was meant by African law so everybody could get to know what it meant. He wanted to know what the jurisdictions of the traditional courts were such as geographical areas and could it deal with civil and criminal matters. His understanding of African law was that it was based on the family. Also, his observations on customary law in countries such as Botswana and Swaziland were that it was a sort of watered down type of customary law. Research had to be done as soon as possible to investigate whether such systems would work for South Africa. Mr B Bongo (ANC) commended the Department for bringing the Bill before Parliament as it was waiting for this Bill for a long time. He suggested to the Chairperson to develop a parliamentary programme which would include visitation to the traditional courts to get a first-hand experience of how they operated. He wanted traditional courts to be seen in the same way as courts in Chapter 8 of the Constitution. The Traditional Leaders Act gave some definition as to who a traditional leader was but that had to be factored into this Bill. One purpose of the Bill was to alleviate the pressures on the justice system as the courts were full and there were many cases on the court rolls. He agreed with Mr Mpumlwana that jurisdiction had to be clarified. The recourse and appeals process also needed to be clarified. Opting out had to be clearer because people could not be allowed to opt out and disrupt the whole court process. He wanted to see more consultation on the Bill. Ms M Mothapo (ANC) thanked the Department for its presentation. She was concerned about Schedule 2 (g)(i) ukuThwala. She asked if it was relevant to name such a customary practice as there were others happening elsewhere. If specific mention was made on this point, why not include other similar practices from other cultures. Also, usually a dispute which arose in the family would go to the clan to be dealt with. From there, if not resolved, it would go to the village and from the village to the traditional courts. If the dispute could not be resolved from there it would go to the “King”. Escalating matters from the traditional court to a formal court was going to be a costly exercise. The concept of “justice of the peace” was foreign in her culture so it had to be clarified. Interpretation would be provided but who would be responsible for that? There was an initial concern about taking of a pledge before a magistrate but why not use the National House of Traditional Leaders which consist of Kings and Queens where an oath could be taken. The composition of courts was progressive however the problem was now with COGTA and the implementation of Traditional Leaders Governance Framework Act. COGTA has been delaying its implementation. The Chairperson agreed that the reason women did not participate in traditional courts was because of government’s failure to implement the Traditional Leaders Governance Framework Act. Ms C Pilane-Majake (ANC) said that the Bill had to work and South Africans were looking forward to a system of this nature. Jurisdiction had to be looked at jointly with traditional leaders. She supported the sentiment that there should be legislation related to voluntarism because law remained law and had to be binding otherwise it would be ineffective. It was not clear whether there would be sheriffs or some forms of sheriffs. Whatever they came up with had to include funding because there were many facets of courts and the number of courts had to be established to see if it would work or fail. This process would reduce the number of cases on the court rolls and the number of remand detainees in Correctional Services. In the end it had to be easy to apply. Indeed the plight of women was noted as the system had failed with only 30% representation in traditional councils. This Bill should talk to that in terms of structures to ensure equal representation of men and women. The Chairperson said that the Constitution was only a framework on which to go and not all solutions would be found in the Constitution. The matter being dealt with was not academic so rather empirical evidence was needed. For example in one area there were 300 traditional courts. Was the Department going to appoint justices of the peace to all those courts and provide funding and cater for appeals? He believed that the Department had done its best under the circumstances but, as Parliament, there were responsibilities which had to be fulfilled. Mr Jeffery said that this was a complicated issue. The Bill had been on the agenda for the last 16 years. The 2012 Bill in the NCOP failed and ultimately lapsed. There were a lot of public hearings but there were also a lot of divisions. In restarting the process, the Reference Group tried to address those divisions. Traditional leaders and members of society made up the Reference Group. It was now up to the Committee to decide how to process it. The Department was there to assist and the Bill had already been translated into some of the other official languages. Parliament would take the Bill out for public comment but first consensus had to be reached. The idea was to allow the structures in traditional courts to continue in line with the Constitution. The High Court had the jurisdiction for reviews and when there were cases where the issue was not whether this was in accordance with customary law broadly but rather was it in accordance with customary law of that particular community so each case would be dealt with according to its own customary law. On justices of the peace, it was the traditional leaders who came and told the Department that it needed enforceability. Sheriffs would not be applicable as they would charge for the distance they had to travel from the magistrate’s court to the traditional courts. The pledge that traditional leaders took would be taken once in accordance with the Constitution. The intention with this Bill was to take the most contentious issues from previous versions of the Bill and find solutions and a way forward. The Chairperson said people could not review cases if they had no knowledge of African traditional law or languages. The education system had to be turned around. Consensus with civil society was important but who comprised these civil society organisations? Did they originate from the rural areas or the city centre? He felt that communities were not adequately consulted. Mr Vusi Madonsela, DoJCD Director General, said that the Committee made very good observations. The Bill was not an attempt to define customary law but sought to regulate how traditional courts worked. There was a common set of rules that applied across the board according to the Constitution. Customary law would not be included in this Bill and he agreed that there were provisions for appeals in customary situations as outlined by some members. He disagreed that Roman Dutch and English law continued. The statement would be invalid as it was inconsistent with the Constitution. The Constitution was the Supreme Law, even in the rural areas. Parliament had to make sure that these courts administered justice. Mr Jeffery said that the question was what a traditional court was and from the Bill it was clear to see that the definition was very wide. He would provide details about the Reference Group but he did not recall anyone from civil society groups who were not from the rural areas. There were also two academics who were part of the Reference Group who came from neighbouring states. Ms Kalayvani Pillay, DoJCD Deputy Director-General: Legislative Development, said that a socio-economic impact assessment was conducted and a final version was available to the Committee. It looked at the costs and benefits, risks, who would be the main cost bearers of the Bill, the different options available and the thought processes behind it. It was a very useful document and would be included on the Department's website as well. Mr Lawrence Bassett, DoJCD Chief Director: Legislation Development, said that justices of the peace could make a useful contribution to justice. Perhaps there were links between justices of the peace and voluntary members of the court. They were there to negotiate settlements and ensure the enforcement of orders given by the traditional courts. The law advisors recognised that traditional courts were courts of law even in the Reference Group as well. According to Section 172 and 174 of the Constitution in Chapter 8, it states that all courts had to function according to national legislation. There was a need for more discussion on what traditional courts were set out to do. The Chairperson said that people created the Constitution to deal with their own issues. In the 1993 interim Constitution the concept of “Ubuntu” was referred to as the overarching value system but that term disappeared in the final Constitution. The whole African continent was drawn to the spirit of unity regardless of race, colour or creed and that concept should form the basis of the jurisprudence. There was a standard of justice that was based on our humanity so we should not hide behind constitutional values because these constitutional values derive from common humanity. He thanked the Department for presenting the Bill. Ms Sandra De Wet, Chief State Law Advisor: Department of International Relations and Cooperation, said Cabinet decided on 19 October 2016 that South Africa should withdraw from the Rome Statute. Notification in the form of an Instrument of Withdrawal together with a Declaratory Statement was submitted to the Secretary-General of the United Nations in terms of Article 127(1) of the Rome Statute. She highlighted that withdrawal would only take effect one year after receipt of the notification. Ms De Wet said that on 4 November 2016 the Instrument of Withdrawal with Declaratory Statement was submitted to both Houses of Parliament and Parliament is requested to approve withdrawal from Rome Statute to be considered in the Implementation of the Rome Statute of the International Crime Court (ICC) Act Repeal Bill. She explained that the Instrument of Withdrawal notified the Secretary-General of the UN that in terms of Article 127(1) of the Rome Statute South Africa withdrew from the Rome Statute. The set timeframe would become effective within one year and the reasons were set out in an attachment in the form of a Declaratory Statement. Ms De Wet described the Declaratory Statement and said that South Africa remained committed to the protection and promotion of human rights, security and peace on the African continent which was inspired by values of the struggle for liberty and the rights enshrined in the Freedom Charter. South Africa condemned in the strongest terms human rights violations and international crimes. Also, South Africa was a proud member of the African Union which focused on promoting peace, human security, stability and human rights on the continent. South Africa did not view the ICC in isolation but as an important element in a new system of international law and governance and in the context of the need for the fundamental reform of the system of global governance. Questions on the credibility of the ICC would persist so long as three of the five permanent members of the Security Council were not State Parties to the Statute. The Security Council had also not played its part in terms of Article 16 of the Rome Statute where the involvement of the ICC would pose a threat to peace and security on the African continent. There was also perceptions of inequality and unfairness in the practice of the ICC that did not only emanate from the Court’s relationship with the Security Council but also by the perceived focus of the ICC on African states, notwithstanding clear evidence of violations by others. South Africa was involved in peacekeeping missions in Africa and in inter-related peace processes in bilateral situations as well as part of AU mandates. Peace negotiations were complex and multi-faceted and the immediate objective to establish peace, security and stability had to be balanced with justice. In June 2015 South Africa was faced with conflicting international law obligations to be interpreted against diplomatic realities. Immunity was granted in terms of the agreement between South Africa and the African Union. She emphasised that Sudan was not a party to the Roman Statute and arrest of such a person may be in violation of customary international law. To address this untenable situation, South Africa consulted to find a solution under Article 97 of the Rome Statute with the ICC. However, no procedures for this mechanism existed. As a result, South Africa regarded procedures as a diplomatic process but it was turned into a legal process and South Africa felt its fundamental right to be heard was violated. South Africa had requested the Assembly of State Parties to develop Rules and Procedures relating to Article 97 consultations in order for Parties that find themselves in a similar position in future, to have the confidence that they can do so on the basis of agreed procedures. Ms De Wet emphasised that remaining a State Party to the Rome Statute would hamper South Africa’s ability to effectively engage in peace processes in states where serious conflicts occur. This may compromise South Africa’s efforts to promote peace and security on the African continent and hamper participation in peacekeeping missions and related peace processes. The credibility and acceptability of the ICC to become the universally accepted institution for justice that would ensure the ideal of universality and equality before the law was not realised yet and was under threat. Should Parliament approve withdrawal from the Rome Statute, termination would come into effect 12 months after the date of notification. Ms Kalayvani Pillay, DoJCD Legislative Development DDG, said South Africa was one of the first signatories to the Rome Statute of the ICC and it was domesticated in South Africa in 2002. Although the ICC had an important role to play in combatting international crimes and eliminating a culture of impunity, South Africa wanted to promote peace, stability, and good governance in Africa through the peaceful resolution of disputes. Some of these disputes subject to investigation by the ICC and in respect of which heads of state, states of government and other officials were subject to warrants of arrest by the ICC. The ICC required South Africa to arrest these persons and surrender them to ICC for prosecution which adversely affected initiatives by South Africa to promote peaceful resolution of disputes through negotiation. Ms Pillay stated that South Africa wanted to give effect to international customary law which recognised immunity of certain persons in order to effectively promote dialogue and the peaceful resolution of conflicts. It had adopted the Diplomatic Immunities and Privileges Act which provided immunities and privileges for diplomatic missions and consular posts and their members, heads of states, special envoys and certain representatives, the UN, and its specialised agencies and other international organisations. Also, the Act made provision for immunities and privileges pertaining to international conferences and enacted into law the Convention on the Privileges and Immunities of the UN, 1946, the Convention on the Privileges and Immunities of the Specialised Agencies, 1947, the Vienna Convention on Diplomatic Relations, 1961 and the Vienna Convention on Consular Relations, 1963. The ICC Act was adopted shortly after the Diplomatic Immunities and Privileges Act and in effect the ICC Act negates the immunities and privileges provided for. Ms Pillay outlined a judgement which involved the Minister of Justice and Constitutional Development versus the Southern African Litigation Centre. The Supreme Court of Appeals held that although customary international law recognised that heads of states and other high ranking office bearers enjoyed immunity from arrest and prosecution or other interference while visiting a foreign state, South Africa was bound in terms of its obligation in terms of the Rome Statute and the ICC, to remove such immunity. Ms Pillay said that it was important that states should be able to negotiate freely with each other and that persons charged with such activities should be able to perform their functions freely without harassment by other states. These immunities were necessary to ensure free dialogue to resolve conflicts and peaceful cooperation and co-existence among states. The repeal of the ICC Act and the withdrawal from the Rome Statute would ensure that these immunities were reinstated. The Minister of Justice and Constitutional Development, Mr Tshililo Masutha, briefed the Committee on the ICC withdrawal. The process was now at a critical stage as Parliament had to exercise its power to take the decision in terms on section 231 of the Constitution to legitimise an executive decision to withdraw its membership from the Rome Statute after extensive engagement and that South Africa will no longer be a member of the ICC. He explained that South Africa was a party to many agreements and those agreements sought to promote the rule of law and protection of human rights as much as the Rome Statute sought to do. But there was something different about the Rome Statute as it sought to experiment with something new which did not exist in other international law. For example South Africa was part of the anti-torture and anti-terrorism convention which had similar features to the Rome Statute but it sought to introduce a novel statute in international law which was dealing with impunity when those in political office would use and abuse their political power to trample on its citizens and this statute sought to stop that from occurring. The Rome Statute sought to suppress all diplomatic immunity law that currently existed because it was so entrenched in the international legal system. 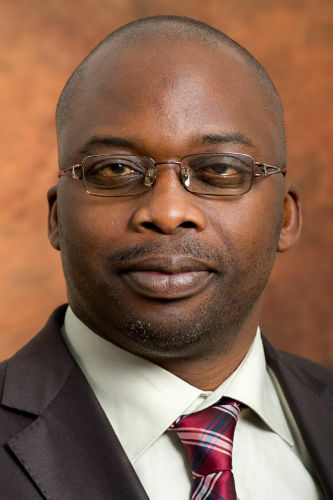 Minister Masutha said that South Africa, by joining the Rome Statute, this meant that all law relating to diplomatic immunity was suppressed and in fact eliminated all cover that would otherwise apply under international law. This was to the extent that a person may be subject to indictment or criminal prosecution under the Rome Statute. In 2016 after the High Court judgement on the President al-Bashir matter the Department appealed to the Supreme Court of Appeal and that resulting judgement had two parts to it. One part effectively condemned the government for failing to uphold the law by not arresting him. The other part however indicated that the Rome Statute did not have the effect of abolishing international “customary” law and therefore international law still applied. The Department was meant to appear in April before the judicial chamber of the ICC in Hague to explain why South Africa failed to execute a warrant of arrest for al-Bashir and the judgement of the SCA would then be relevant. Minister Masutha said that government had decided to refer a Repeal Bill as well as the notice of withdrawal to this Committee to recommend to the National Assembly to endorse the withdrawal. The two instruments were critical to end South Africa’s relationship with the ICC. The Department would furthermore be tabling before Parliament a set of legislative amendments which would enable South Africa to continue to prosecute under domestic law any of the gross human rights violations which the Rome Statute sought to address. It might be premature for Parliament to entertain these amendments in the face of ongoing litigation but the matter at hand should be dealt with as expeditiously as possible. The reason South Africa was unable to sustain an arrangement with the Rome Statute was because South Africa could not immediately effect an arrest on such a leader and the leader be held until such a time that criminal proceedings could be effected. Was the Rome Statute helping South Africa advance its international policy outlook? Since the al-Bashir matter, South Africa was unable to attract head of state visits due to the uncertainty created. The national interest had to be put first. Mr M Lekota (COPE) said that he was greatly helped by the Minister's suggestion that the ICC was intended to get rid of diplomatic immunity and all legislation that goes with it because it clarified where the mistake of Cabinet was. It was never the intention of the ICC to eliminate diplomatic immunity. During the time of the struggle people who were being persecuted used to run into the British embassy in Pretoria and they were protected, not even the Apartheid government could touch them. In Angola, South Africans ran into the diplomatic embassies there and nobody could go in and do anything to them. He said that his point was the ICC was intended to provide a mechanism which for a long time did not exist for dictators to be exposed who slaughtered citizens in the country in which they governed. The people who went to the ICC were victims of the Sudanese massacre. When people of a country run away they needed an international forum to go and tell their stories and there was no such forum. The ICC provided that forum for citizens who were suffering under dictatorships. Government said it was overthrowing all the relevant diplomatic legislation that came since the Second World War, yet other nations were upholding this because it remained relevant. He wanted people of Africa to be provided with a forum to go and say what was happening in their countries. The Minister's rationale was irrelevant. To get rid of the ICC was not the right thing to do. It was the wrong move. Mr Swarts noted that the Minister was a Member of Parliament in this Committee at the time when the Rome Statute was passed. He remembered at that time South Africa led the delegation and encouraged other countries to join. This process of withdrawal was motivated by what happened with al-Bashir. In 2009 at the inauguration of the President, he was warned not to come. With the 2010 soccer World Cup he was advised not to come. Former President Thabo Mbeki stated that people from Darfur deserved attention as 300 000 people were murdered. Mr Swarts felt that the country was losing high moral ground and it was a politically difficult situation. The question remained what other steps were taken to solve this situation. He wanted to know from DIRCO why it had not signed the 2014 AU Protocol yet. There was nothing in place. He understood there was litigation pending, making it more difficult for Parliament, hence it would be wiser to wait. Mr Horn felt that it was “poetic justice” that the Minister arrived late and was the last person to present. The Committee was asked to legitimise the decision of government to withdraw from the ICC but was it lawful to file the notice of withdrawal without consulting Parliament or the people of South Africa? The presentation by DIRCO was not being helpful as it was repeating the arguments made in court about the conundrum South Africa was faced with arresting President al-Bashir. Those arguments were already found to be lacking by the courts. The person who the country failed to detain was personally responsible for the death of 300 000 people and the country now questioned the moral standing of South Africa internationally? As long as diplomatic immunity trumped any provision of an Act to arrest, detain and take to court, South Africa will face a situation where only warlords who were not in a position of power would be taken to task while those in governmental power will always be immune. The question was whether that was what South Africans wanted? Mr Maila said that South Africa remained committed to the protection and promotion of human rights. There were many debates about the conduct of the ICC. It was said that the reason African leaders were being prosecuted by the ICC was because matters were brought by Africans themselves but did this mean that human rights abuses only occurred in Africa? The Palestinian situation had been ongoing but the ICC could not say anything about human rights issue in that area. Mr Swarts called a point of order and said that the ICC was investigating the Palestine issue at the moment so that point was incorrect. Mr Maila said the ICC was not doing anything. As Parliament there was no law which barred South Africa from repealing the Rome Statute. Cabinet started the process and he felt that Cabinet did the right thing. The Committee had to continue with this process. Mr Mpumlwana said that South Africa was party to many treaties and could withdraw from those treaties if it needed to. Consultation with Parliament and the people were not needed to enter into or withdraw from agreements. People were massacred in Iraq by the British army and nobody talked about Tony Blair being arrested and sent to the ICC. Why was America not part of the Rome Statute? Three members of the UN Security Council have not signed the Rome Statute yet Africans had to be prosecuted. This was double standards. Human rights had to be objective. Mr Bongo said that everyone should be clear about section 231 of the Constitution, including Mr Lekota and Mr Horn. Parliament had to move with the repeal as fast as possible. The argument for this was a clear one as it promoted international customary law. It was about the national interest. If South Africa arrested al-Bashir what would have happened to the relationships between South Africa and other African nations? This repeal came at the right time and he was impressed with the presentations from the Department and DIRCO because it already indicated the need to deal with other legislation that further promotes peace. Ms Pilane-Majake said that she agreed with DIRCO that the ICC process was unfair and not treating Africa equally to its counterparts around the world because there was no other leader of any continent that had ever been tried by the ICC except for African leaders. International instruments, such as the Universal Declaration For Human Rights were about peace and if they were used for something else it would defeat the purpose. The Rome Statute should have been to promote peace. The withdrawal bordered on self-determination which was a cardinal principle for the country. The Committee had to welcome the Bill and the process that was initiated. The Minister noted that there were comments for and against the withdrawal decision. There were diverging opinions but it was not a bad thing. It highlighted the self-determination and sovereignty of the country. Section 231(4) of the Constitution spoke about the Powers of Authority to decide on international policy for the country which was an exclusive executive prerogative. The Constitution was clear on the prerogative to make the law exclusive. There was nothing different being done here from what was always done when the country no longer supported a certain view. He did not understand how a court could dictate to Parliament choices imposed by those who had the privilege to approach the court just because they could. Parliament and government had to assert its constitutional powers and rights. There had never been an instance where a sitting head of state was ever indicted and put on trial anywhere in the world under international or domestic law. South Africa was used as a guinea pig by the ICC to effect induced regime change through external means. All the people who went before the ICC were subjected to such proceedings after, and not during, their stint in government. Therefore it was only fair to Africa and South Africa to withdraw from the Rome Statute. The Chairperson said that all processes were in order and the Committee would advertise the Bill for comment and see what will come from that. The Committee would also advertise the Traditional Courts Bill for comment and organise public hearings. He thanked the Departments for preparing very well.